TNA reported that Thai Immigration are proposing much stiffer penalties for failing to report foreigners staying at addresses in Thailand. They have referred to the present time under the command of immigration chief Lt-Gen Surachate Hakpan as the “Big Joke Era” referencing the chief’s well known nickname. Laws dating back to 1979 are not sufficient in the modern day especially when it comes to reporting the whereabouts of foreigners. They are considered to be too lenient. New penalties will see fines of 10,000 baht levied. The penalties will be even stiffer for hotels and other establishments who harbor migrants for financial gain or profit with jail terms of up to 5 years and fines of 100,000 baht for failing to report. This seems to relate to not reporting the presence of workers. Pol Col Pongnakhorn Nakornsantiphap who heads a committee recommending changes said that Lt-Gen Surachate wanted to bring Thailand in line with other countries’ regulations. In addition stiffer penalties are promised for airlines and individuals who permit individuals to board planes and enter Thailand without onward tickets – he was referencing the case of the Saudi woman who fled her country because of an enforced marriage. The committee has been working on eleven main changes to immigration rules and penalties since January. Other changes include the stamps that will be used by immigration. A new flag shaped design is in the offing. 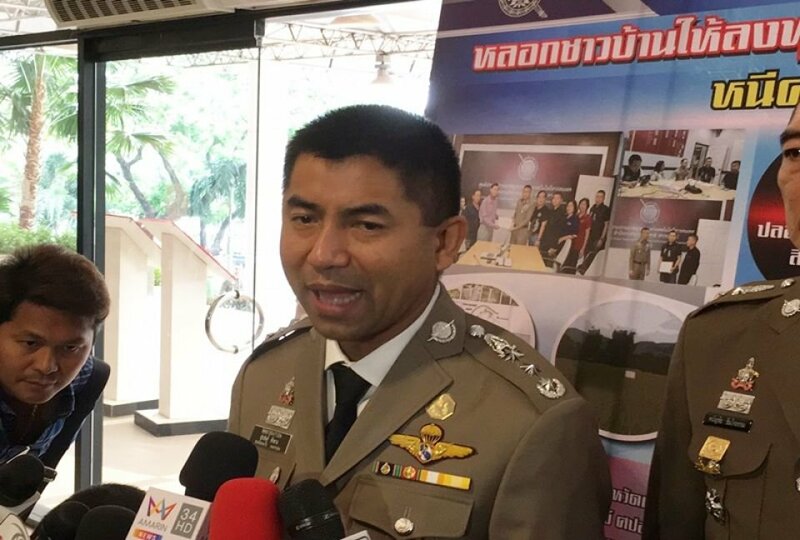 In a related story Lt-Gen Surachate himself said that a ministerial committee will discuss the proposals this week with implementation expected after Songkran on April 22nd. TNA called the present era “Yuk Big Joke” (the era of Big Joke) in their feature on the proposed changes.